It’s had a 20-year voyage. Now, NASA's Cassini spacecraft is poised to dive into Saturn. It will happen this week. It will become forever one with the unique planet. There's no turning back. Friday it flys through the atmosphere. It will burn up like a meteor in the sky over Saturn. NASA is hoping for scientific dividends up until the end. Every bit of data radioed back from Cassini will help. Astronomers want to better understand the entire Saturnian system. Its rings. Its moons and all. Cassini is the only spacecraft ever to orbit Saturn. It spent the past five months exploring uncharted territory. It went between the gaseous planet and its dazzling rings. It has darted 22 times between that gap. It sent back ever more wondrous photos. On Monday, Cassini flew past jumbo moon Titan one last time for a gravity assist. It was a final kiss goodbye. That’s what NASA calls it. It nudged the spacecraft into a deliberate, no-way-out path. During its final plunge early Friday morning, Cassini will keep sampling Saturn's atmosphere. And it will beam back data. It will do so until the spacecraft loses control. And until its antenna no longer points toward Earth. It will descend at a scorching 76,000 mph. Cassini will melt. And then it will vaporize. It should be all over in a minute. "The mission has been insanely, wildly, beautifully successful. And it's coming to an end," said NASA program scientist Curt Niebur. "I find great comfort in the fact that Cassini will continue teaching us up to the very last second." Telescopes on Earth will watch for Cassini's burnout. They will watch from nearly a billion miles away. But any flashes will be hard to see. This is because of the time. It will be close to high noon at Saturn. And it’s because of Cassini's minuscule size against the solar system's second largest planet. The plutonium on board will be the last thing to go. The dangerous substance was encased in super-dense iridium. This was as a safeguard for Cassini's 1997 launch. 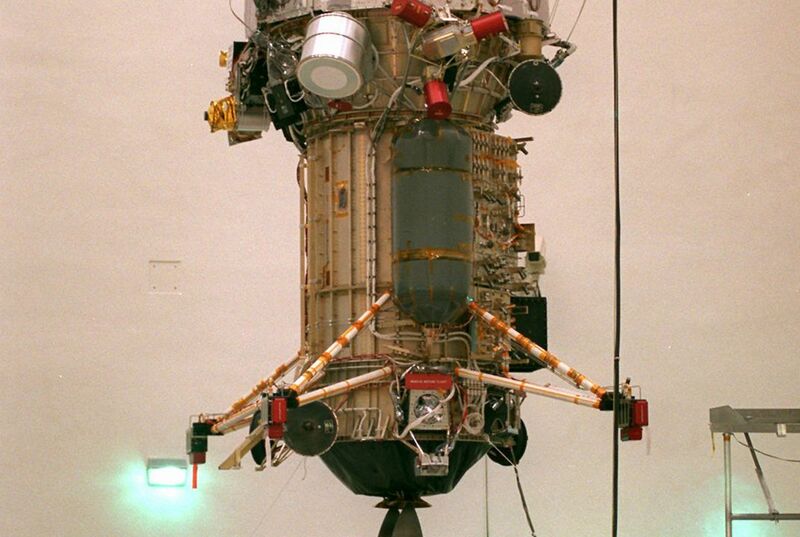 It has been used for electric power to run its instruments. Project officials said once the iridium melts, the plutonium will be dispersed into the atmosphere. Nothing should escape Saturn's deep gravity well. Even traces of plutonium will not escape. This one last exercise is dubbed the Grand Finale. It is to prevent the spacecraft from crashing into the moons of Enceladus or Titan. NASA wants future robotic explorers to find pristine worlds. In such worlds, life might possibly exist. They are free of Earthly contamination. It's inevitable that the $3.9 billion U.S.-European mission is winding down. Cassini's fuel tank is almost empty. Its objectives have been accomplished many times over. That’s since its 2004 arrival at Saturn following a seven-year journey. The leader of Cassini's imaging team is planetary scientist Carolyn Porco. She already feels the loss. "There's another part of me that's just, 'It's time. We did it.' Cassini was so profoundly, scientifically successful," said Porco. She's a visiting scholar at the University of California, Berkeley. "It's amazing to me even, what we were able to do right up until the end." Until Cassini, only three spacecraft had ventured into Saturn's neighborhood. The first was NASA's Pioneer 11. That was in 1979. Then came Voyager 1 and 2. Those were in the early 1980s. Those were just flybys. They offered only fleeting glances. Cassini has a traveling companion. It is the Huygens lander. They actually provided the first hard look at Saturn. They also showed its rings and moons. They are named for 17th-century astronomers. They are Italian Giovanni Domenico Cassini and Dutch Christiaan Huygens. They spotted Saturn's first moon, Titan. The current count is 62. Cassini discovered six moons. Some are barely a mile or two across. It also discovered swarms of moonlets. Those are still part of Saturn's rings. All told, Cassini has traveled 4.9 billion miles since launch. It orbited Saturn nearly 300 times. It collected more than 453,000 pictures. It collected more than 635 gigabytes of scientific data. The European Space Agency's Huygens lander still rests on Titan. It hitchhiked all the way to Saturn aboard Cassini. It parachuted down in 2005. That was about six months after Cassini arrived at Saturn. It relayed data for more than an hour from the moon's frigid surface. Huygens is still believed to be intact. It remains the only spacecraft to actually land in one of our outer planetary systems. Titan is about as big as Mercury. Little was known about Saturn's biggest and haze-covered moon. That was before Cassini and Huygens showed up. They revealed seas and lakes of methane and ethane at Titan. They provided evidence of an underground ocean. It is quite possibly a brew of water and ammonia. Cassini unveiled plumes of water vapor spewing from cracks at the south pole. That was on the little moon Enceladus. These geysers are tall and forceful. They actually blast icy particles into one of Saturn's rings. Thanks to Cassini, scientists believe water lies beneath the icy surface of Enceladus. This makes it a prime spot to look for traces of potential life. "Enceladus has no business existing and yet there it is, practically screaming at us, 'Look at me. I completely invalidate all of your assumptions about the solar system.'" Niebur said. "It's an amazing destination." That's precisely why scientists didn't want to risk Cassini crashing into it, said program manager Earl Maize. He works at NASA's Jet Propulsion Laboratory. It is in Pasadena, California. "The book is not complete. There's more to come from exploring the planets,” Maize said. "But this has been a marvelous ride." Why would scientist allow a spacecraft to burn up? 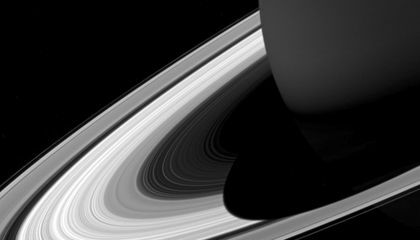 The main idea of the story is to get a close up of Saturn's rings, moons, and the atmosphere to relay back to NASA so they can study. A interesting fact is that I think that scientist would blow up a spacecraft because they don't need people steeling the data or trying to steal the spacecraft it self. Another interesting fact is that scientist have learned a lot from the spacecraft and like that the planet could possibly contain life from a underwater ocean and they don't want to crash the spacecraft into their because it might ruin all possible life. Finally my last interesting fact is that the spacecraft has flown 4.9 billion miles, orbited Saturn 300 times, it collected more than 453,000 pictures and more than 635 gigabytes of scientific data. there is no way to stop the craft from burning. The scientist will allow the the spacecraft to burn because they want to leave the unique planet alone but learn as much as they can about the rings, moon, and planet is self. If they let the spacecraft burn up it will not hurt the environment of the planet and it will not hurt the planets surface in any way. I think they would allow the spacecraft to burn up because they already have all of the data that they need, and it doesn't have enough fuel to make it back to earth anyway. They would rather lose the aircraft than destroy a very valuable moon they want to explore.